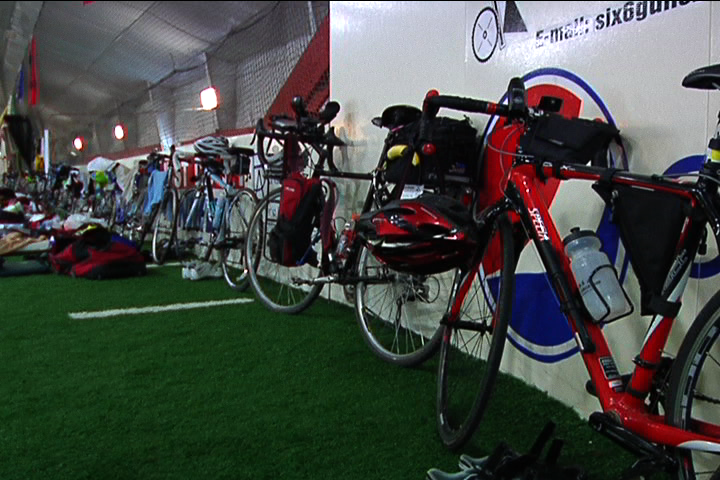 Over 100 bicycle enthusiasts are taking a two wheeled adventure across Ohio this week. They put the brakes on at the Field House June 23 to set up camp before setting out on the rest of their journey. Director of Across Ohio Biking Adventure Maureen Capehart explained. The cyclists ride about 64 miles a day, and the bikers range from 18 to 84 years old. Caprehart said the trip creates the opportunity to make connections. “You get to meet all kinds of wonderful people along the way, people that that really want to talk about what we’re doing and why we’re doing it and you get to see things you can’t see from a car,” said Capehart. The cyclists are headed to Nelsonville when the sun comes up June 24.